The most glamorous way to stay warm this winter. 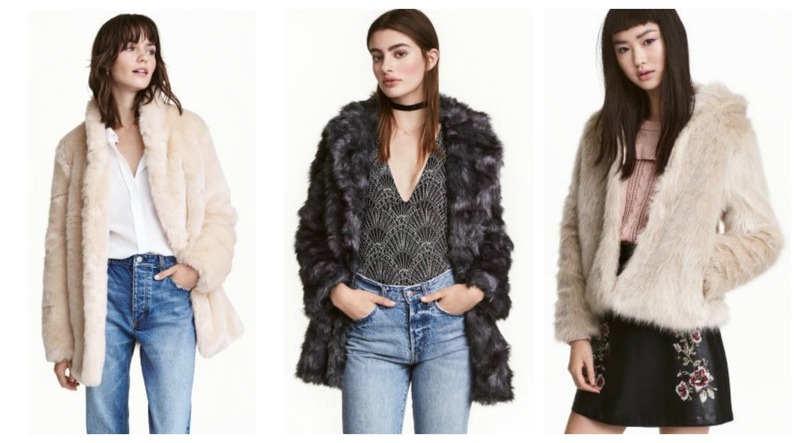 There is something about faux fur outerwear that can make any girl feel glamorous, no matter the occasion. This Old Hollywood favorite is still a must-have item today, spotted on celebs and street style stars alike. Don’t reserve your faux fur pieces for special events, though! Instead, incorporate them into your everyday looks, too. You’ll make a bold yet edgy statement that will be sure to turn heads. Keep reading to learn some tips for how to transition a faux fur jacket from class to a night out. This casual yet cool look for class will make you feel polished and presentable. Pair a burgundy sweater with black leather pants for a dark, vampy vibe. Add snake print sneakers and a felt hat to complete the look. The fluffy white faux fur jacket tones down the dark feel of the outfit and will tie your whole ensemble together. Add some burgundy nail polish to match the sweater for an extra touch! This look is perfect for when you do decide to break out the faux fur for a more fancy occasion. You will definitely charm your date – or anybody around you, really – with this sultry, girly look. The rose gold of the velvet skater skirt contrasts with the black top and accessories to create a feminine, sophisticated look. The bows on the heels and the choker necklace add a few fun, girly touches. Again, the white faux fur jacket ties the ensemble together to complete the look. Do you like faux fur coats? Do you think a faux fur coat can be a cool transition piece to wear to class and then a night out? How would you wear it? Which of my outfit sets did you like best? Please let me know in the comments below!